When building an intranet, there is much to consider to ensure you and your staff are staying on track. One of the most important things warranting focus is your intranet content strategy ... the types of content you're presenting on your intranet. There are many routes to take when putting together a plan for content creation, but some needs are essential for any type of organization. The following examples can help push your intranet in a forward direction. 1. Properly filled out employee profiles. One of the biggest benefits of today's social intranets are employee profiles. Employee profiles can be useful in many ways, from giving colleagues a better sense of each other to helping identify experts within an organization. If there has to be one issue associated with intranet employee profiles, it's getting people to fill things out in great detail. As long as you can stress its importance, you shouldn't run into any major trouble. 2. Tutorials, step-by-step guides, and how-to's. Ensuring that every member of your intranet knows how to properly use the system is easier said than done. This is especially true when onboarding new employees, because they will generally be a bit behind the other members of your organization. For this and many other reasons, it's essential to outfit your intranet with in-depth tutorials that address all of the areas, spaces, and features they'll be using. This is a step that sometimes gets skipped when developing an intranet content strategy because of the time it takes to prepare tutorials ... but overlooking its importance won't do you any favors. 3. Tags and metadata to aid in searching. No matter what type of content is on your intranet, you've got to make sure you can perform a search anytime you need to recall helpful information. A robust intranet search engine can save members of your organization hours each week, especially when they need to search for information on a regular basis. In this regard, it's essential to properly tag every piece of content that becomes a part of your intranet. Use search terms that make sense. This way, when members are looking for information, the more robust your intranet search engine, the more likely they'll find what they're searching for. 4. Boilerplate documents and templates. When you have a specific voice to maintain for your organization, it's essential that everyone contributing content is well-versed in how things should look and feel. 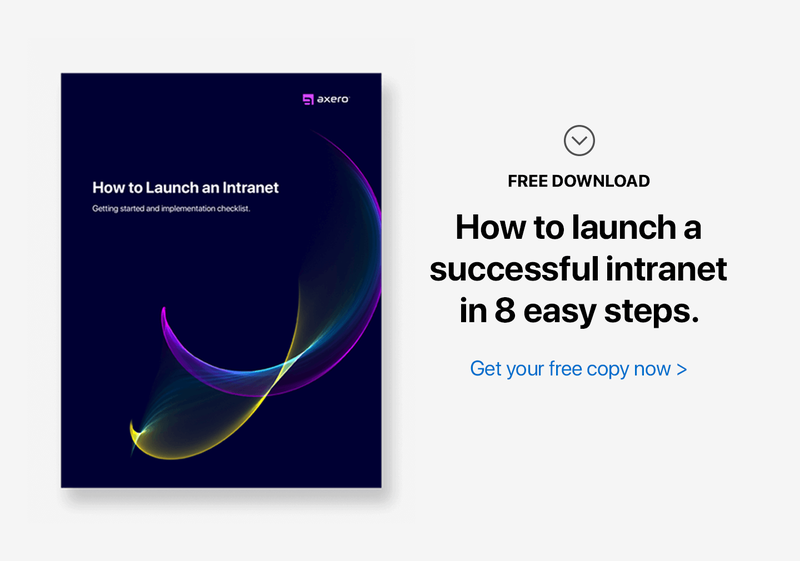 One of the best ways to do this is by outfitting your intranet with boilerplate documents that can be used as a basis for the rest of your content. You can have separate boilerplates for blog posts, wikis, articles, NDA's, agreements, contracts, W4's, and any other commonly used documents ... all of which can be specifically tailored to fit the voice of your organization. 5. Big picture company news, updates, and announcements. When most people think about business blogging, the first thing that comes to mind is trying to appeal to an external audience. Indeed, this is one of the most effective ways to use blogging as a vehicle for marketing, but what about the virtues associated with internal blogging? There are many internal uses for blogs, from sharing the latest company info with employees to listing strategies that can help them get the most out of the workday. Just as with external blogging, you should be as consistent as possible with how and when you post blog content internally. 6. Quick and meaningful status updates. Every company is a living, breathing entity that changes over time, and it's important for employees to have a strong handle on what's going on. For larger organizations, this can be a huge challenge that gets in the way of true success. Since you have the benefits of social intranet software, there's no reason why people should lose sight of what's going on. When developing your intranet content strategy, don't forget to make use of your news feed, updating it on a regular basis with information related to company happenings, achievements, and everything in-between. As long as it relates to your organization, and as long as its useful, relevant, and meaningful, just about anything can be posted to your intranet news feed. 7. Product and service documentation and materials. If your organization creates products and services, chances are there will be plenty of documentation related to development and marketing. Product and service materials should all be uploaded to your social intranet, so your staff has access to them when needed. 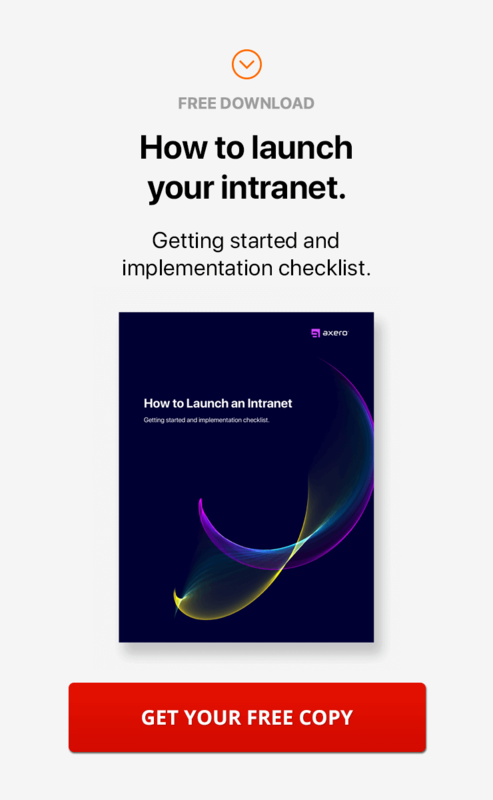 Whether it's tutorial, marketing campaign, or other type of document, if it's related to a product or service, it needs to be a part of your intranet. 8. Discussion forums, question and answer, help desk, troubleshooting information. The days when forums ruled the Internet may have seemingly faded into the past, but they still hold a lot of weight in many circles. Your social intranet is the perfect platform for creating forums that allow employees to have meaningful discussions with each other ... and it doesn't matter what topics are brought to the table. Intranet discussion forums can also be used during product and service development to help isolate bugs and other issues. You can post as little or as much as you'd like, but maintaining a hub of communication is always a great idea. 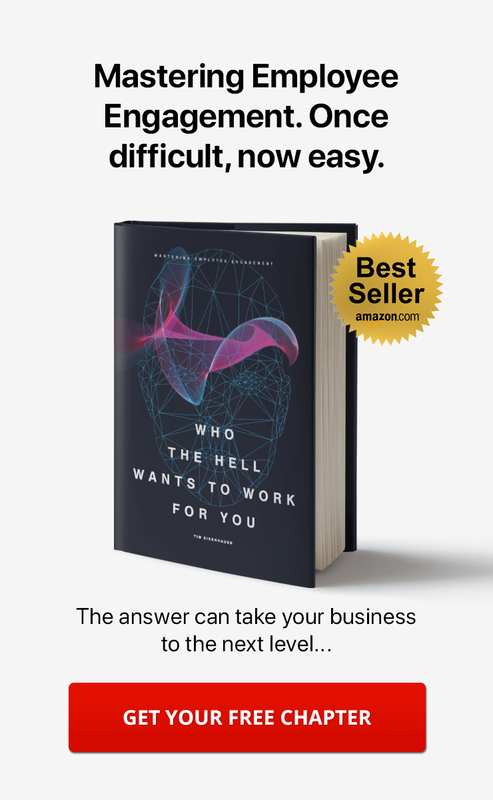 No matter how well-versed you believe your employees to be in their current tasks, there will always be situations where questions will come up. Dealing with questions in an effective manner and keeping everything on track can be an exceptionally tricky thing to do, even more so as an organization grows. Fortunately, your social intranet offers you the ability to create a "Q&A" space where employees can freely ask questions about things they may not understand ... and when you organize things properly, providing timely, effective responses doesn't have to be difficult. 9. Archived content, projects, and materials. Just because your intranet was recently built doesn't mean it shouldn't have older material. No matter how large or small your organization, there's a strong chance you have an endless paper trail of old documents, many of which are still important. Archived materials shouldn't sit in a filing cabinet — they need to be uploaded to the intranet and be a part of your intranet content strategy. As you might expect, this can be a fairly time-consuming process. Once things are uploaded and properly organized, you can free-up a great deal of physical space within your office. 10. Employee policies, handbook, and procedures. Your employees should have the ability to look back on company policies, as this is the only way to ensure that everyone is on the same page. When you don't make these materials accessible, you're basically holding your organization back in destructive ways. It only takes a short period of time to outline your employee policies and upload them to the social community where they can be recalled at any moment. Try to be as detailed as possible to help keep confusion at bay. Just because you're using social intranet software as a platform for handling business processes doesn't mean it can't be used for anything else. The whole point of a social intranet is to bring employees together and make collaboration easier, which is why focusing on the "social" element is always a good idea. It can be quite helpful to develop a space in your intranet that allows colleagues to engage in water cooler chat ... to discuss their interests and hobbies, regardless of whether or not they're work-related. You may feel as if you're setting up an opportunity for employees to waste time, but what you're really doing is placing focus on relationship and team-building. 12. Insight and feedback from management. The best managers provide employees with feedback that will help them get better at their jobs. Sadly, many of today's managers are so busy that they neglect this important part of the puzzle. This can lead to dissenting feelings among employees. Managerial feedback is most effective when offered in written form, and your intranet is an excellent place to post it. 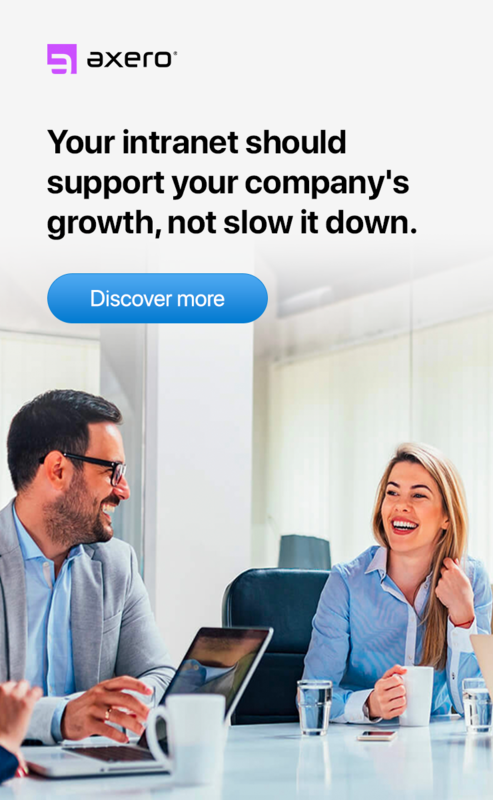 You can privately share feedback that is tailored specifically to individual employees or perhaps give feedback that is more generalized and meant for you entire staff to read. 13. Updates about the intranet itself. Just as your business is a living, breathing thing, so is your intranet. Whether it be upgrades, design changes, planned downtimes, or other shifts in how your employees use the social intranet, communication can make all the difference in the world. There's plenty of opportunity to keep people up to speed with any changes, and the more lead time you can give them, the less likely it is that any disruptions will occur. Your social intranet software platform will only be as useful as the amount of work you put into building it, and in many cases, it's going to be all about your intranet content strategy. Ensure that your social community is home to all of the above types of content, and you'll surely be on the right track.